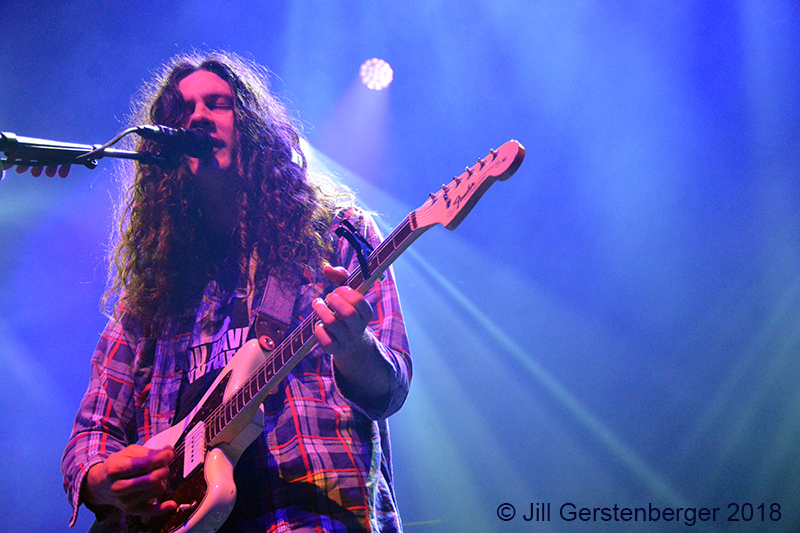 Kurt Vile seems an unlikely rockstar but you couldn’t tell that to the packed house at his December show at The Fox Theater in Oakland. Largely influenced by Neil Young, Tom Petty, and John Fahey, Vile has created a unique sound that combines an upbeat banjo-picking guitar style with droning self-effacing poetic lyrics. The 38-year-old singer songwriter has had a prolific writing career while remaining largely under the radar and is out touring his eighth studio album Bottle It In with his backing band The Violators. 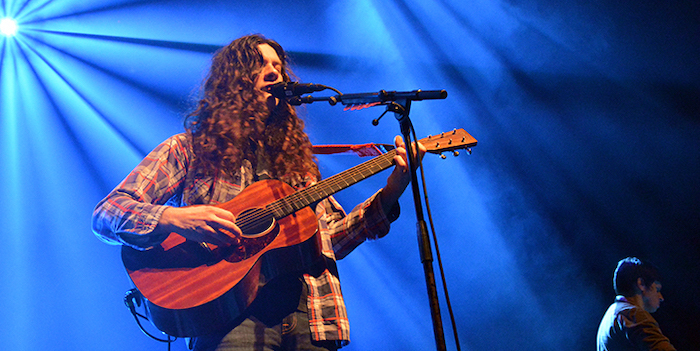 Vile started his career at an early age in Philadelphia making lo-fi home recordings along with Adam Granduciel, who collaborated on Vile’s solo work, and they formed the Indie band The War on Drugs together in 2005. 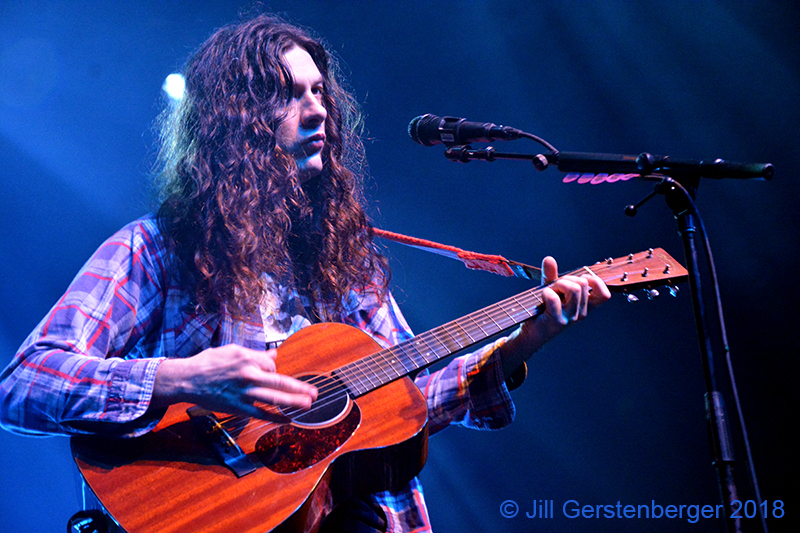 In 2008, The War on Drugs released their first album, Wagonwheel Blues, on a major label at the same time Vile released his debut solo album Constant Hitmaker. 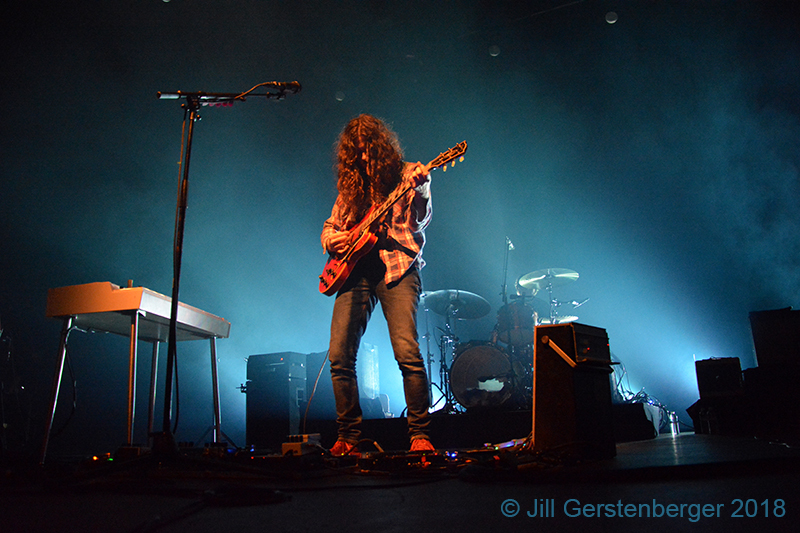 Vile toured Europe with The War on Drugs and opened the shows as Kurt Vile. 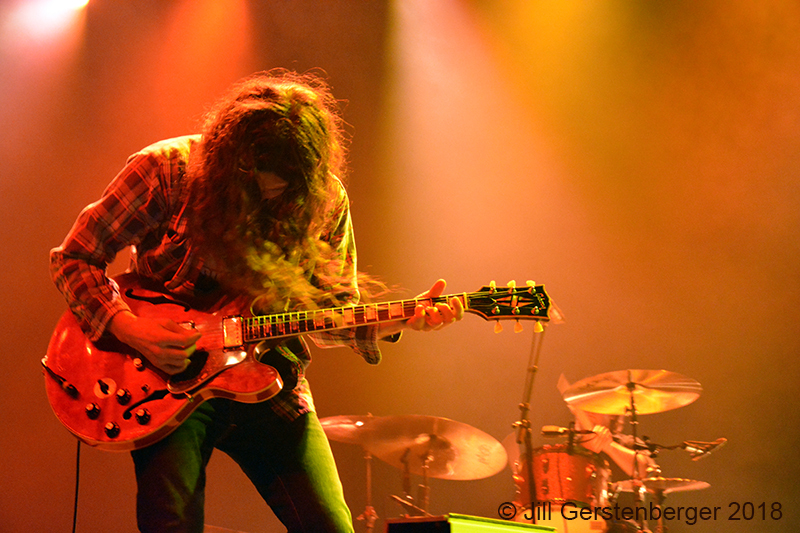 He soon left The War on Drugs to focus on his solo career and do his own thing. His fourth studio album, Smoke Ring for My Halo, gained Vile some exposure and critical acclaim as it landed on the Billboard’s top 200 list and several year end lists. In 2016 he topped the Billboard’s Adult Alternative’s Chart with his funky folk song “Pretty Pimpin,” off his album b’lieve i’m goin down, which has been his best-selling single to date. His show at The Fox was a solid performance from start to finish and the band sounded as good as their albums with undeniably clear sound from all vantage points of the venue. Vile comes across as shy and more like your goofy college roommate that you shared a flat with in college than your typical cocky musician, but this adds to his charm and affability. He frequently hides behind an amazing set of long curly dark hair that covers every inch of his face, except on rare occasions when he looks out in to the audience to see who’s there. While most of the show could be described as good there were moments of brilliance when Vile would go balls out and would start howling while the band rocked extra hard. The opening song, “Loading Zones,” along with “Yeah Bones” played later in the set, were examples of how fiery he can play and the audience went electric during these songs. We wish there had been more moments like this throughout the set as this is when Vile really shines. There were also great moments of poetic lyrics sprinkled throughout. On the song “Runners Up,” Vile sings, “My best friend’s long gone but I got runners up.” Another song, “Cold Was the Wind,” had him singing, “On the plane / I’m drinkin’ red wine / ‘Cause like everybody else / I’m afraid to die.” His anxious vulnerability is refreshing and honest and plays an interesting contrast to the upbeat melodies of the music. Vile could be up there some of the top songwriters of the times when he finally hits his stride. He seems to be skirting the edge of his creative brilliance but not quite connecting on all cylinders. We’re hoping he keeps writing prolifically until he figures it all out. Right now, it’s exciting seeing his writing skills develop. A couple of the audience favorites were the hit, “Pretty Pimpin’,” that had everyone singing along, and the show closer, “Baby’s Arms,” a Dylan-ish style tune filled with melancholy and longing. 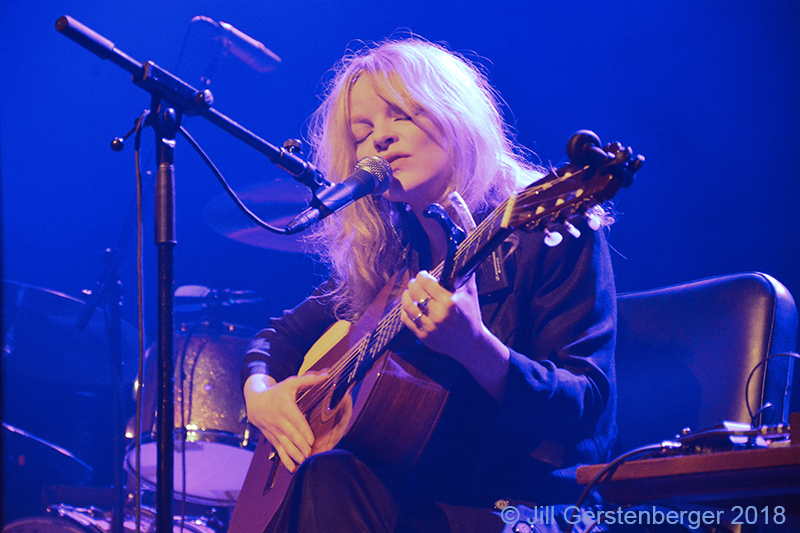 Another interesting aspect of the show was the choice of opener Jessica Pratt. She sat in a chair with an acoustic guitar and was accompanied by a keyboard player. She had the lights lowered down so there was almost no stage presence at all but her voice was incredible and otherworldly. People quieted down to listen to her as her short set wound down and by the last song they were completely drawn in. It was interesting to see a crowd stop chattering over their drinks for the opener and give her their full attention. It’s a testament to the quality of her songs and voice to be able to do that with not much to see on stage and was also a striking complement to Vile’s set which came shortly after. 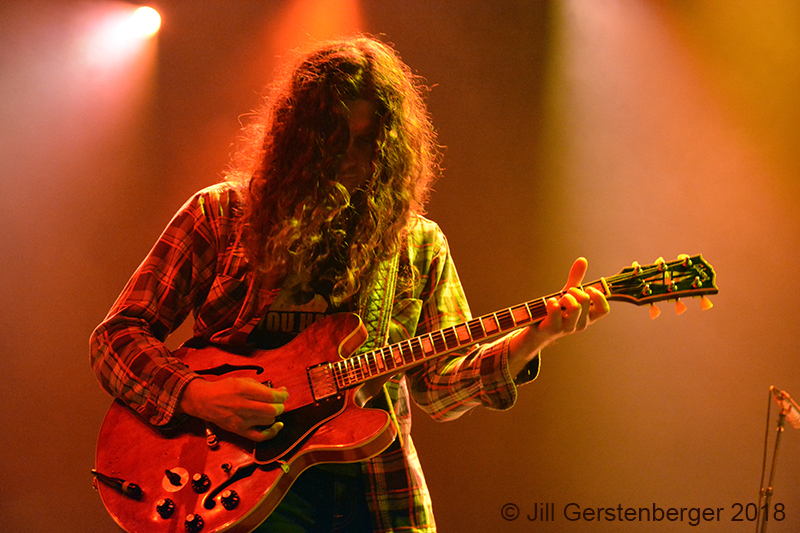 For more info about Kurt Vile, see his website. 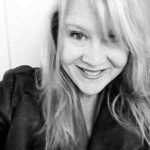 Find out more about Jessica Pratt here.